Lotus represents innocence, harmony, peace and wholesomeness. The Chinese pronunciation of Lotus is “Lian”, which sounds like the word for “connection”, and symbolizes good luck. According to Feng Shui experts, this flower is said to replace negative energy with positive ‘Chi’, clearing your mind and attaining enlightenment.There are various symbolisms in Chinese folklore which depict the importance of lotus. In Taoist’s believe, Ho Hsien Ku (one of the Eight Immortals as well as the icon of marriage and fortune of love) carries a lotus flower with her. Since lotus grows in the water and blossoms its way through the layer of mud, it represents the strong energy in life that enables one to overcoming obstacles in life. 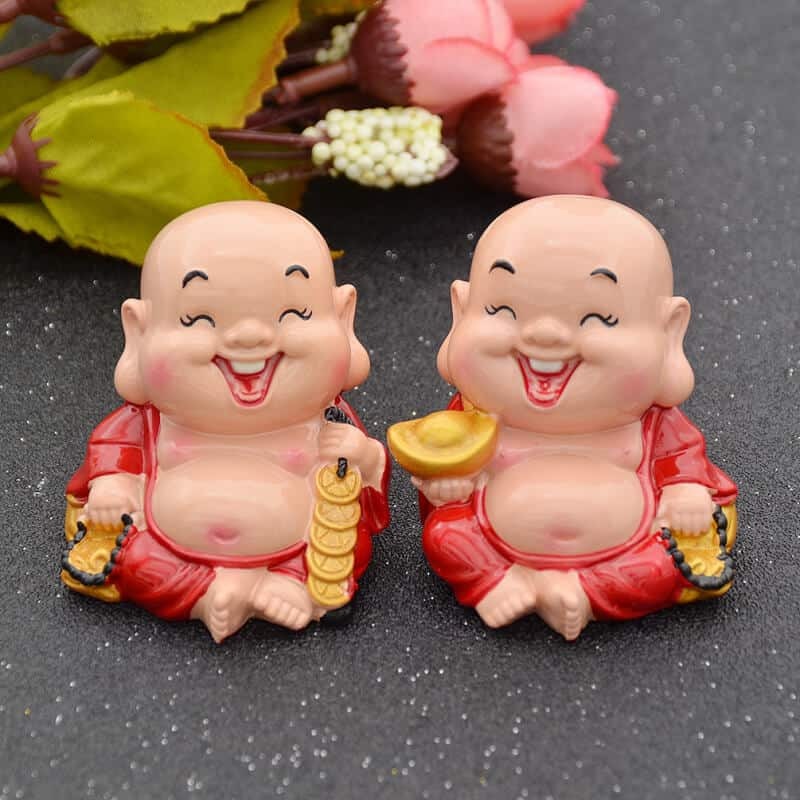 Besides, the leaves of the flower protect fishes in the water (which is a symbol of wealth), this also means that the lotus will safeguard your money and wealth. 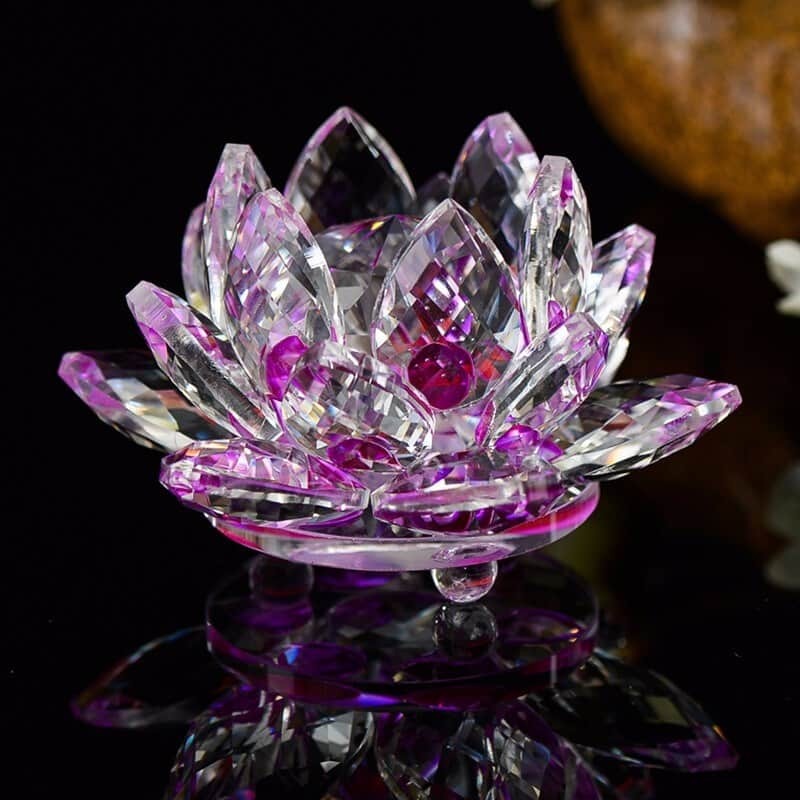 In the world of Feng Shui, the crystal lotus flower is very useful in strengthening family bonds and emitting positive energy. As the crystal is one of the Earth’s element. it would cleanse the surroundings, empower them to attain their aspirations and provide a serene mental state to the holder and his/her family members. However, you should always remember to refresh the crystal lotus before its energy is getting depleted. This can be done by placing it on a transparent table with lights beneath it – this is a depiction of the Fire element in which the the light is re-energizing the crystal. In Buddhism, the Lotus flower is also highly revered as it has four fundamental merits, namely purity, softness, scent and loveliness. It is believed that when Buddha was born, the lotus was blossomed in ten different directions every time he took one of the seven steps towards enlightenment. For this reason, the lotus flower is known as the “flower of heaven”. Very pretty, but there are more colors in the picture shown. It is mainly clear with a little purple in it, even when in a sunny window. Excellent packing and very fast shipping to the east coast of US — only 2 weeks. Very beautiful lotus. corresponds to the description. order happy! posting was in Krasnodar 25 days. track to track. The order was issued dec. 19 2016 received on January 14. treknomer tracked and out. When ordering, please pack better, because the flower was ordered as a gift. packed really conscientiously: mail box, which is wrapped in pupyrchatuyu film and box with flower; the flower itself is wrapped in foam in several layers. does not hurt, will not hurt. the flower is excellent, sparkles! later to make photo and will add a review. excellent, 5 star! Excellent beautiful! very good communication with the seller i recommend! i will recommend lotus! Better than in the picture. cut glass is excellent. gorgeous light refraction. accurate work. BEAUTIFUL <3 all the details are perfect and also the quality is good. Packaging was also perfectly...can absolutely recommend!!!! item and satisfied very. fast shipping отслеживалось all. satisfied i lotus, shipping, seller. thank you. advise.